The UIDP tackles strategic and tactical challenges impacting the environment for research collaboration. We are a project-oriented organization where our members identify issues impacting university-industry (U-I) relations and opportunities to develop new approaches to working together. Remove barriers to joint research project success. Some of the finest innovation companies and best research universities in the world belong to UIDP, representing a broad cross-section of industry sectors, organizations and academic institutions. Working together, we find practical solutions to shared challenges impeding collaboration success, irrespective of who we are or where we work. While UIDP’s focus is on developing practical solutions to address obstacles to collaboration, we know how challenging it can be to identify new partners with the right combination of shared values and strategic and technical competencies. We offer UIDP members several ways to identify and connect with potential new partners. Leadership Circle membership carries with it an obligation to support the UIDP at a minimum level of $20,000 per year or $50,000 over a three-year period. In return, Leadership Circle Members receive benefits that enhance and catalyze the value proposition afforded Leadership Circle Members. Leadership Circle Members may nominate someone to sit on the Board, are prominently featured in UIDP materials, and have the opportunity to host UIDP events at their home location. To become a Leadership Circle Member, email info@uidp.net. The UIDP supports mutually beneficial university-industry collaborations by developing and disseminating strategies for addressing common issues between the two sectors. As the UIDP’s President, Tony is a leading expert on university-industry relations and over the past 29 years, he has gained significant experience and insights by working in the academic, corporate, government and non-profit sectors. Tony holds a Ph.D. in Inorganic Chemistry from the University of South Carolina and a B.S. in Chemistry and Political Science from Furman University. Tony also serves as a consultant for government agencies, non-profit organizations and corporations and is the former Chair of the MedStar Health Research Institute. Tony is married to Dr. Laura Boccanfuso, who founded Van Robotics; along with their three children, they reside in Columbia, SC. Bob is a UIDP Associate, serving as our Treasurer and a co-lead on our Clinical Trials Project. He retired in 2008 after 32 years in the pharmaceutical industry, ending his career as the Assistant Vice President of Clinical Development, Special Projects at Wyeth Research in Collegeville, PA where he headed the biostatistics, clinical programming, clinical data management, and field monitoring functions. Denise has been providing operational and administrative support to Tony and the UIDP since 2008. She holds a Bachelor of Science degree in Business Administration from the State University of New York at Fredonia and a Master of Arts in Communication from Ohio University. Prior to relocating to Columbia, South Carolina, Denise worked for the Rochester City School District in Rochester, NY for 15 years where she was an Analyst in the Department of Research, Testing and Records. Denise and her husband, Paul, are now based in Columbia, South Carolina. As UIDP’s Events Manager, Linda is responsible for planning and coordinating meetings, workshops and other activities, as well as providing marketing support for UIDP functions. Her events experience spans arranging small conferences to managing and promoting large-scale street festivals, while her 16 years in university marketing and communications puts her in a unique position to create high-quality event experiences for UIDP members and partners. Michelle assists the UIDP team with special projects and member database management. She holds a Bachelor of Arts degree in Psychology from Seton Hall University and a Master of Science in Human Resource Management from the Rutgers University. Her professional background includes 10 years as Assistant Director at the Rutgers Employment Center, three years as a faculty member at DeVry University and four years as a Test Administrator for graduate law and medical school entrance examinations. Abishai is a Program Assistant who will provide critical support to event program development and implementation. Events include conferences and workshops, as well as, virtual ones, such as webinars and he will play a key role in the on-going delivery of high-quality events. Abishai is a graduate of the University of South Carolina with a dual degree in International Studies and Religious Studies. Prior to joining UIDP, he completed an internship for a non-profit that promotes U.S.-Arab economic cooperation. Likewise, he is heavily involved in local SC politics, previously interning for Governor McMaster’s general election campaign and currently serving as a volunteer for the state campaign. Angie is the UIDP Membership Services Coordinator. She ensures that all UIDP members receive the maximum return on their membership investment by leading membership communications including news, benefits and services offered by the UIDP as well as connecting members with other opportunities that arise within the U-I environment. Angie has joined the UIDP team after earning her Bachelors from the University of Pittsburgh specializing in Business administration with a focus in Marketing and Operations Management. Please contact her at angie@uidp.net if interested in learning more about UIDP. As UIDP’s Project Associate, Liz assists with the management of the overall project portfolio. She holds a Bachelor of Arts in Political Science from Clemson University and a Master of Public Administration from the University of North Carolina at Chapel Hill. Prior to joining UIDP, Liz completed internships in nonprofit development and local government management. Randy is Vice President for Research at the University of Southern California, and is responsible for leading research initiatives across the university, overseeing research advancement, administration and ethics. The Stevens Center for Innovation, USC’s center for technology transfer and corporate research relations, is one of the units that reports to him. In additional to serving as Vice President, Hall is Professor in the Epstein Department of Industrial and Systems Engineering. He is also a board member for the USC Health System. Dr. Mark Schmidt is the Manager of Science and Technology Policy for John Deere. He is responsible for Deere’s global university relations and currently holds thirteen patents. He began his career at Deere in 1999 previously working in R&D and innovation management as well as strategy and public policy. Mark holds leadership roles with the Conservation Technology Information Center, North Carolina Arboretum, and North Carolina Plant Sciences Initiative. He is also an Eagle Scout and lives in Raleigh, NC, with his wife and four-year old son. As Northwestern University’s vice president for research since 2007, Jay Walsh oversees a research infrastructure and annual research budget exceeding $675 million. He also directs the development and implementation of University-wide research-related strategic plans through leadership support for programs such as the Energy Frontier Research Centers, the UI LABS (University + Industry Labs) consortium and national hub for digital manufacturing, and the Northwestern-Argonne Institute of Science and Engineering. Northwestern has seen an increase of 134% in industry funding for research during his time as the university’s VP for Research. Under Walsh’s leadership, the Office for Research has made significant contributions to the development and support of Northwestern’s core research facilities and research institutes and centers, including the Institute for Policy Research, the Buffett Institute for Global Studies, the Chemistry of Life Processes Institute, the International Institute for Nanotechnology, and the Institute for Sustainability and Energy at Northwestern. Additionally, Walsh has championed global impact programs, such as the Mandela Washington Fellowship-Young African Leadership Initiative and the program on Equality Development and Global Studies. Walsh joined Northwestern in 1988 as a professor of biomedical engineering at the McCormick School of Engineering and Applied Sciences, where he later served as associate dean for graduate studies and then senior associate dean. He earned his bachelor’s and master’s degrees in electrical engineering from the Massachusetts Institute of Technology (MIT) and a doctorate degree in medical engineering from a joint Harvard Medical School – MIT program. Walsh’s early research on laser-tissue interactions has framed understanding of laser ablation and the scientific foundation for today’s standard laser-based procedures in medicine and surgery. More recently, his research has focused on the diagnostic and therapeutic applications of light. Walsh has contributed his insights and leadership beyond Northwestern, too. He serves on: the Board of Directors at Current, a Chicago-based consortium of academia, industry, and governmental organizations focused on innovations in advanced water research & technology, UI Labs, and the Chicago Council on Science and Technology; the Board of Governors at Argonne National Laboratory; the Secretary of the Navy Advisory Panel; the Naval Research Advisory Committee; and the MIT Corporation Visiting Committee for Sponsored Research. He is also the Chair of the upcoming UIDP 27 conference (fall of 2018 in Evanston, IL) and a member of the Chicago Technology Initiative, a new organization comprised of corporate, academic, and government leaders focused on strengthening Chicago’s global leadership position in technology-driven, inclusive economic growth. Barclay Satterfield is the external innovation site leader for Eastman Chemical Company. She manages an office on the NC State University Centennial Campus that supports the execution of two multi-year research partnerships with NC State and with UNC. In this role, Barclay’s team members connect industry and university researchers to drive collaborative engagement. Prior to joining Eastman in 2013, Barclay performed life cycle assessment studies as a consultant and was a Science Policy Fellow in the American Chemical Society’s Office of Public Affairs. Barclay earned her Ph.D. in Chemical Engineering from Princeton University and her B.S. in Chemical Engineering from Yale University. Werner Kaufmann is Senior Manager Technology Scouting, responsible for the design, implementation and operation of the North American Scouting Network. Werner joined Ciba-Geigy in Switzerland in 1988, where he held various positions in Process Development, Production, Research & Development and New Business Development in Switzerland, Germany and the U.S. Prior to BASF’s acquisition of Ciba in 2009, Werner had global responsibility for Ciba’s Emerging Competencies organization, was Head of R&D for Ciba North America and also managed Ciba’s venturing activities. Lisa Lorenzen is the Executive Director of the ISU Research Foundation and Director of the Office of Intellectual Property and Technology Transfer OIPTT), focused on technology transfer and economic development. The ISU Research Foundation owns and manages intellectual property on behalf of Iowa State University. The OIPTT markets and licenses intellectual property and negotiates contracts related to sponsored research with industry and manages grant programs related to economic development. Before joining ISU in March 1999, Lisa worked for five years as a computational biologist in the bioinformatics group at Pioneer Hi-Bred International, Inc.
As Senior Executive Director of Development, Corporate Relations at UC San Diego since January 2017, Anne leads a new Central Corporate Relations Office to develop holistic relationships with corporations to support UC San Diego’s strategic plan and fundraising objectives. Anne served over 17 years at the UC San Diego Jacobs School of Engineering building corporate engagement programs, first launching the Director of the Corporate Affiliates Program (CAP) with 75+ high technology and life science member companies for custom access to faculty, research, students. More recently, Anne continued to build new corporate engagement models as the Executive Director, Corporate Research Partnerships where she built the first seven of the Dean’s Agile Centers of Excellence–multidisciplinary faculty teams focused on technologies that are highly relevant to industry. Under Anne, CAP ran the Team Internship Program and started Executive Education Engineering degree programs. An alumna of Mount Holyoke College, Anne went on to Harvard University earning a Master’s in Public Policy and a Master’s in Theology. Anne is an active member of UIDP Membership Committee and co-led the Collaboration Metrics Project. 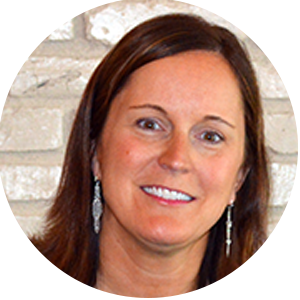 As a NACRO member, Anne served as Benchmarking Chair and past Conference Planning Co-Chair. As faculty for Academic Impressions, Anne has taught the Holistic Corporate Engagement course for the past five years and has a webinar in building corporate affiliate programs. Anne serves on Board of Catholic Charities of San Diego and is an ICF certified professional leadership coach. Anne is married and a mother of five great kids ages 15-27.